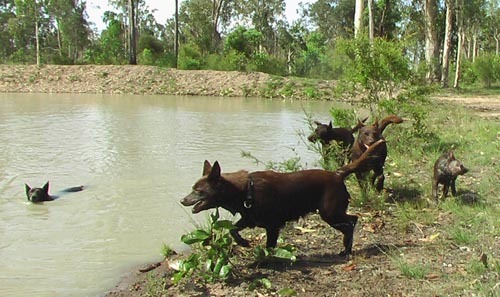 Kelpies are very active, medium sized, intelligent, loyal Australian working dogs. 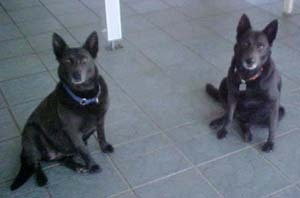 I would not have any other breed and recommend them to someone with time to spend exercising and training their dog. You will have a loyal companion in return. I do not recommend kelpies for someone who does not have time to spend with their dog, or for someone that will not treat their dog kindly. Kelpies respond to kindness, and will willingly work (whether stock work, obedience, tracking or agility) for someone who rewards their efforts. 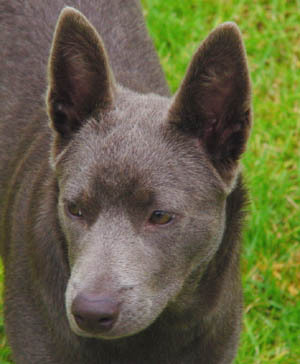 Kelpies are loyal dogs to the point of being jealous. Occasionally fights or squabbles break out at my home due to jealousy of another dog being near me. Awareness of this problem will help manage it. I don’t think this is a huge amount of exercise to have to give a dog, but they will surely become problem dogs if kept in a suburban backyard without exercise. I believe that the mental stimulation of being taken out, or given obedience training contributes to their exercise and tires them out just as physical work does.